These Veredus Olympus Tendon Boots are stylish, practical and innovative boots with EVA Foam in the shell to offer maximum protection from shock and bruising to the flexor tendon. These best selling boots feature a double density anatomically-shaped shell to provide greater freedom of movement at the knee and fetlock for excellent positioning and comfort. The main shell of these boots is made with 54-SHORE TPU a flexible and extremely strong polyurethane mixture that maintains it's elasto-mechanical properties in temperatures ranging from -15°C to 50°C. The back of the boots have extra protection provided by an "X" of 66-SHORE TPU, a more rigid section also containing EVA foam. These Veredus Olympus Tendon Boots also feature soft and adjustable straps to ensure a great fit while the flextan tips allow fast hooking and unhooking and the closure holes are narrow to ensure a secure hold. 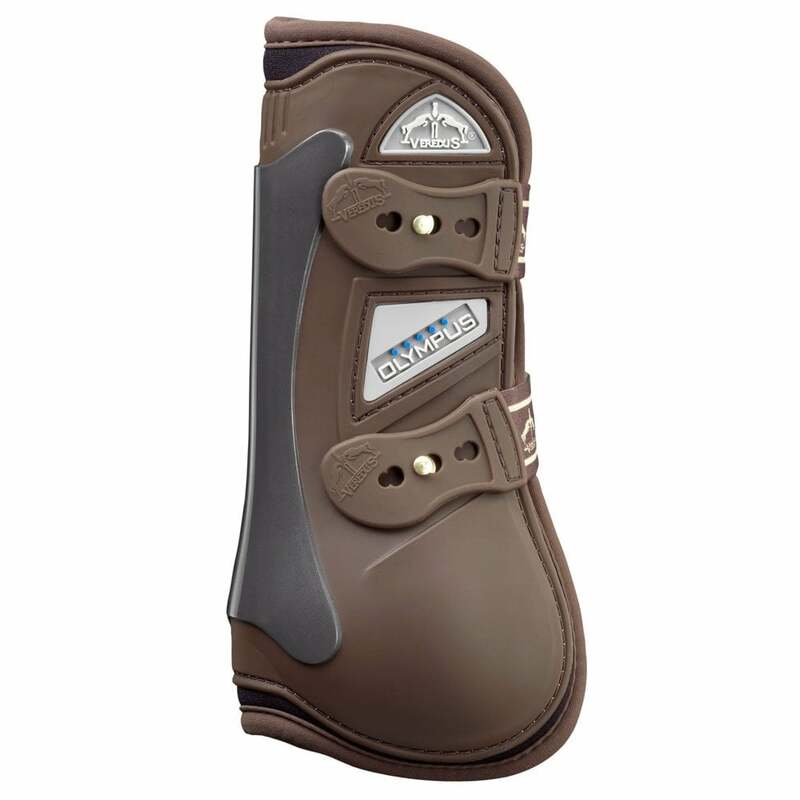 These Veredus Olympus Tendon Boots are great for competition or schooling.